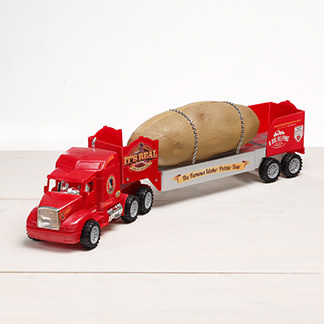 Hello Tater Nation! I hope everyone had a wonderful Labor Day weekend and that is was filled with friends and family. The #taterteam and #bigdahopotato spent our Labor Day in beautiful Sun Valley, Idaho. We arrived at the beginning of the week for the Idaho Growers and Shippers Association 89th Annual Convention. 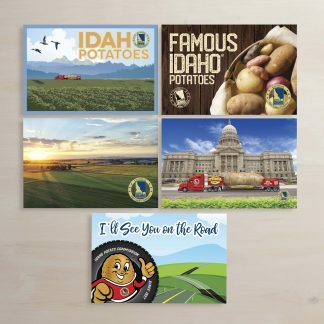 The IGSA provides education and solutions to common goals of it’s Idaho Potato Industry members. Representatives from the Idaho Potato Commission, Potatoes USA, EHY, Foerstel Design, and many more attended the three day convention. 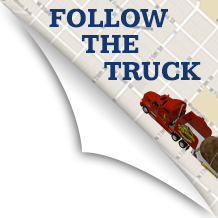 That week, the #taterteam was invited to attend meetings and learn more about the industry and it’s needs. We also gained insight about marketing initiatives at the industry breakfast which was presented by Frank Muir, president and CEO of the Idaho Potato Commission. It was a great learning opportunity for us and I loved getting to know everyone in the industry a little more. We also got to have some fun at the convention as well! 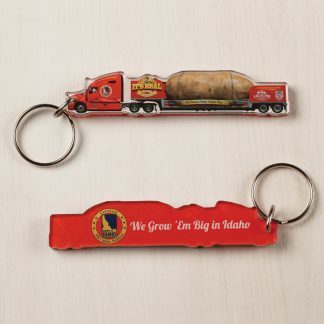 We held a “Q & A session” at the #bigidahopotato truck where visitors and those attending the convention could come by and get to know the Tater Team better. We also had a signature board for Hurricane Harvey victims and gave away prizes for those who signed it. We ended up raising $500 for the American Red Cross and we’d like to thank everyone who stopped by for this cause! It was great getting to spend time with everyone that week and we appreciate the opportunity to represent this industry! 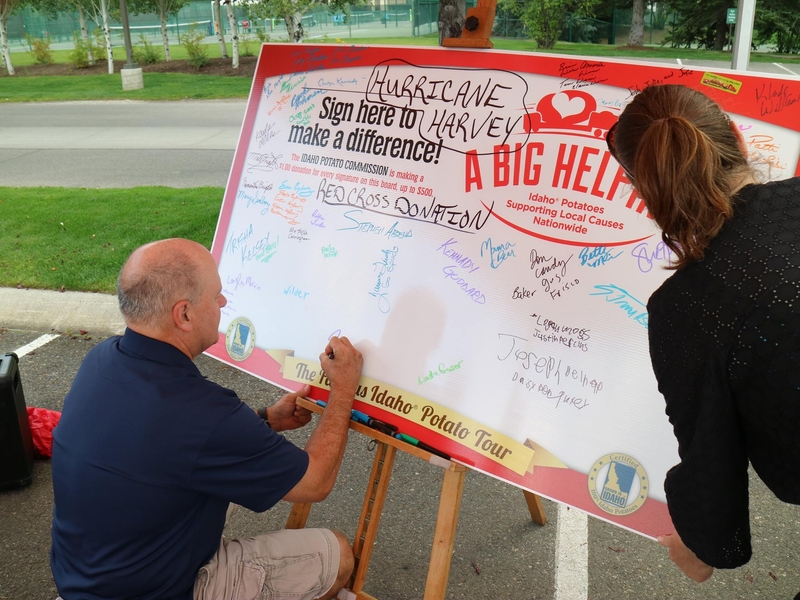 Signing the signature board for Hurricane Harvey! 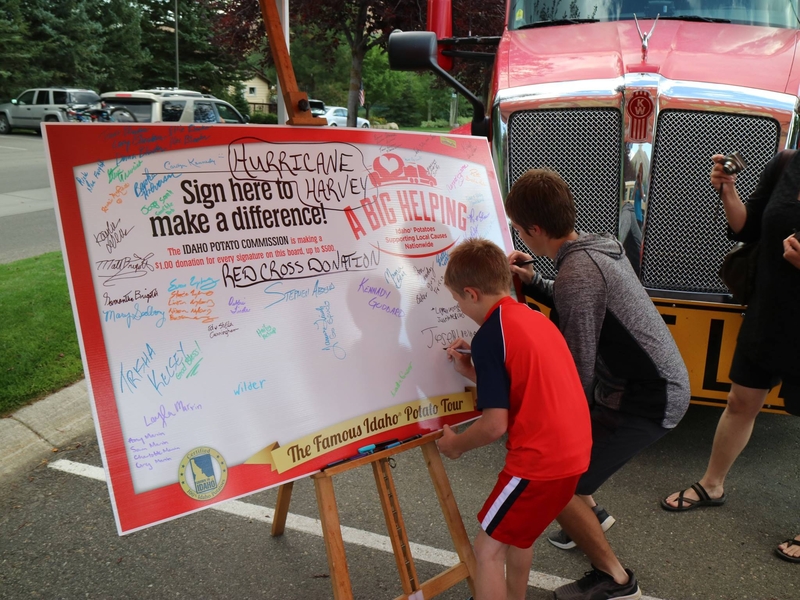 Frank Muir, President & CEO of the Idaho Potato Commission, signing the board! That weekend, we were invited to Wagon Days in Ketchum! Wagon Days is a celebration of the time before railroads and automobiles. There was a parade through the main street in town, food, music by Lukas Nelson, and children’s activities. The #bigidahopotato got to be a part of the festivities and at our booth we held potato decorating! Thank you to Sun Valley Potatoes for your kind donation so the children could enjoy this activity. We also had a special visitor, Miss Idaho United States Amy Mireles, join us for this celebratory day! 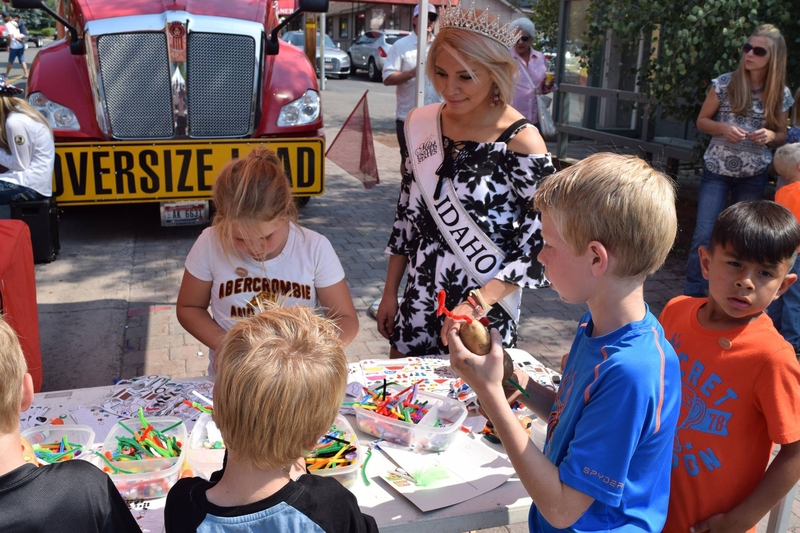 We learned that as Miss Idaho, Amy travels all over the state to participate in community service and to spread her message about animal adoption. She also loves Idaho Potatoes, and is a wonderful representative of our state! We had a great time at Wagon Days and can’t wait to come again in the future. Miss Idaho United States, Amy Mireles, helping with Potato Decorating! 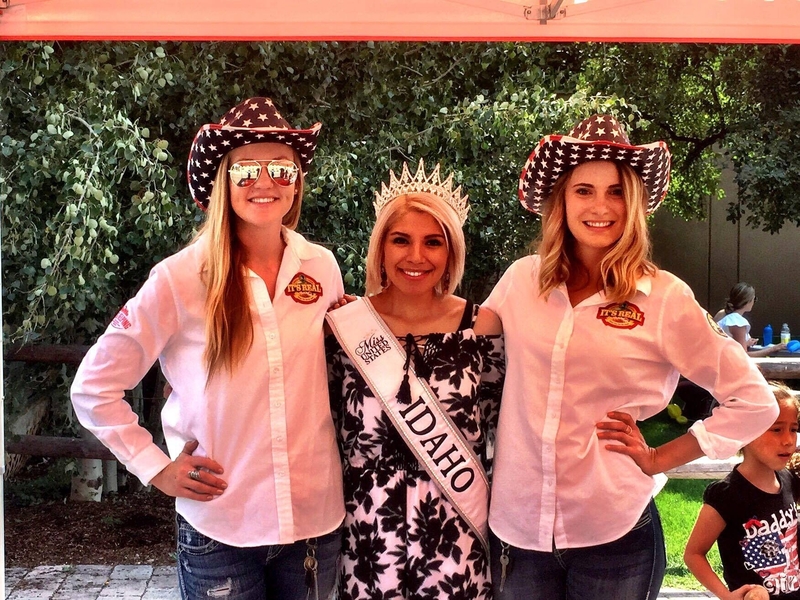 The #TaterTwins and Miss Idaho United States! Now time for a little sap… This is officially the last blog I’ll be writing for the 2017 tour. It’s a bittersweet moment, because the last five and a half months have been incredible. We’ve visited 25+ states and attended once in a lifetime events this year. We’ve learned a lot, we’ve stumbled, but most of all we’ve grown into an amazing team that I love to work with. I can’t thank Laura, our Mama Bear and tour director, enough for her hard work at planning these amazing events, and for being our counselor, encourager, and number one fan. As for Larry, you are one heck of a driver, but an even better friend. I am going to miss your jokes (good and bad) and how you are un-apologetically yourself at all times. Jess, you are my ultimate partner in crime who never fails to have fun even in the worst of situations. I still pinch myself that we have been given this opportunity and wouldn’t want to do it with anyone else. As many of you know, the #TaterTwins #andLarry will be coming back for another year so lookout for more shenanigans to come in 2018! As for the future six months, I will be continuing my travels in South & Latin America. I’ll be bringing Spuddy Buddy along for the ride and will be sharing those photos so stay tuned. Until next year Tater Nation! P.S. Click here for the link to “It Happened in Sun Valley” song.